The purpose of having a competition ladder is to provide a means of ranking teams from best to worst, so how is it we have a situation where a team that barely scraped into the top eight has disposed of two teams that should be markedly more capable according to their ladder positions? The other three teams left in the premiership race finished first, second and third which would make sense, even a variance of a ladder position or two would be expected, but the inclusion of an eighth-placed side into that group seems to be a strange anomaly to me. And it’s not like the Cowboys came into the finals with a run of momentum to explain the gulf between their ladder position and their finals scalps. On the contrary, the only game they won from their last six appearances in the regular season was against the 14th-placed Tigers. Well, that was my first impression too, but here’s where it gets a bit weird. The current finals system used by the NRL has been in place for six years now including this season. In three of those seasons (2012, 2015 and 2016) the four teams that survived to the preliminary final week consisted entirely of the top four from the regular season. In the other three seasons, the four teams left come the preliminary finals consisted of three of the top four and either the team placed seventh (2013 and 2014) or eighth (2017). While six seasons is obviously a fairly small sample size, I find those results remarkably consistent. Surely a team entering the finals from one of the two weakest positions available shouldn’t be getting within one game of the grand final every other year? What does this say about the accuracy of the ladder we use to separate which teams get to play finals and what advantages they receive once they get there? Well, for one thing, the ladder has proved to be an extremely accurate indicator of a teams likelihood of going deep into the finals when they place in the top four. In fact, a premiership winner has not placed lower than third in their respective year since 2012. At the same time, it becomes a significantly less reliable indicator of success outside of the top four. What could possibly cause this stark difference in reliability to be split right down the middle of the top eight? Well, let’s have a look at what the ladder actually represents, the draw. What elements of the regular season draw allow the standout teams to clearly rise above the rest, yet muddy the waters of those just below? Let’s start with a big one, the six or so weeks interrupted by State of Origin. 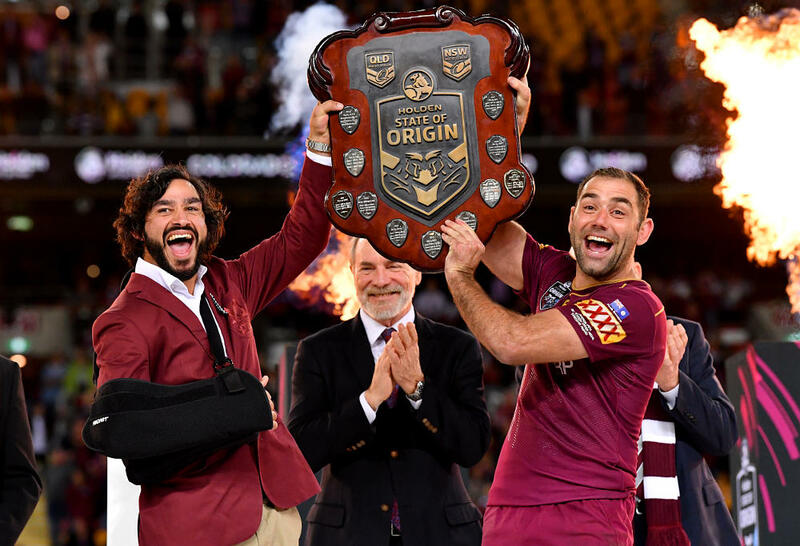 Statistically, the teams most affected by Origin tend to place around the top four anyway, which suggests that having access to rep quality players and their big game experience allows clubs to compensate for any losses over the period with a better success rate over the season as a whole. Where the imbalance occurs is the benefit that a few lower ranked teams receive by playing depleted top sides, inflating their ladder ranking over teams forced to play them at full strength. While byes somewhat limit this, the problem persists. Scheduling is another issue that’s raised its head over recent seasons. In particular, the fact that teams can face each other within mere weeks of their first meeting. This may not sound too disruptive on face value, but a team only has to hit a hot patch of form or a form slump (as most clubs do at some point) for a month to seriously skew the leader board. For example, with two teams that are evenly-matched, you could expect that in two encounters over a season they would average a win each, and this would be reflected on the ladder with an even distribution of points. But if one of those teams were to hit a purple patch or a from slump that covered two encounters between the teams, all of a sudden there’s a four-point difference reflected on the ladder that separates two teams that have otherwise performed equally well over the season. Now, two points here and four points there might not sound like it would have that much of an effect, but when you consider that four points is all that separated seventh from 10th this year, you can see the impact it can have. Multiply that over 16 clubs and you can see why the mid-table logjam is so difficult to accurately disassemble, and this is without even considering the issues of using for-and-against to separate teams in a season where not every team plays each other twice. So what can be done to help facilitate the ladder’s ability to fairly sort the middle order based on performance over luck? For a start, teams will always be unlucky. Weather will affect results and injuries and off-field incidents will disrupt seasons. But we can at least control some of the quirks of the draw. For instance, the NRL is trialling a standalone weekend for one Origin game next year, but I would go a step further and use it to split the season in half and make it so that each team can only face each other once per half. Two birds with one stone as it were. 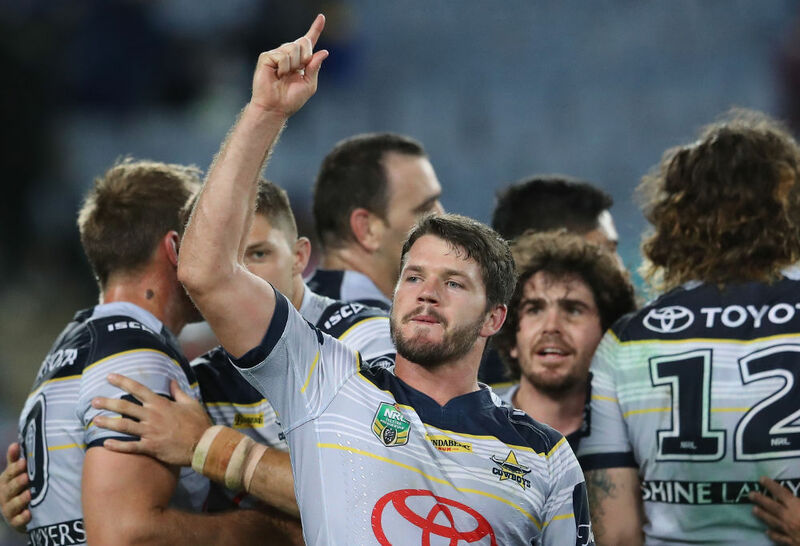 The regular season really needs a lot of work before the ladder can be a true indicator of who deserves to enter the finals, but it does at least ensure that the most deserving sides are rewarded. All this focus on looking into the ladder, its purpose and its effect on finals drew me to a conclusion that I’ve never really considered before. The regular season is basically just an extended selection trail to decide who qualifies for finals, to see the best teams playing the best teams for the ultimate prize. Yeah, everyone knows that, but what I came to realise was that’s not really how we treat the finals. We approach the finals as if it were an extension of the regular season, with many benefits and liabilities carrying directly over from the last round of the regular season to the first round of the finals and the more I think about it the more I don’t like it. So I came up with some simple ideas that could be implemented to treat the finals like the epic sudden-death contest it should be. First, I’d adopt Craig Bellamy’s idea of a week’s break before finals. I didn’t give the thought much attention when he first mentioned it, but the more I think about it the more it makes sense. It gives qualifying teams a chance to recuperate and enter finals in top shape. The week off doesn’t have to be dead air either, the NRL could use the week to celebrate the regular season with a tournament for the fans. Have legends playing against each other, events for the kids and, above all, present the minor premiers their trophy in front of a crowd that isn’t a half-empty stadium. Use the week to treat the regular season like it meant something, award players for their achievements and celebrate the achievements of retiring players. I’d be a great way to send off the regular season but could also serve to reinvigorate the fans for finals footy and generate interest from the broader community. Another way to treat the finals like the separate contest it is would be to adjudicate it separately from the regular season. Carry-over points and early guilty pleas work in a 26-round season but the punishments and legal interpretations can have a disproportionate effect in a sudden death series. I’d personally be in favour of adopting a red card system for chargeable offences, with some qualifiers. Players still serving suspensions from the regular season (for on-field transgressions only) only miss the first match of the finals but any remaining suspension carries over to next season. Chargeable offences committed during finals will receive a yellow card with a second offence earning a red card and a send-off as well as missing the next game should the team continue on. Yellow cards will carry over to each match played that series with clubs able to fight charges if they have a reasonable case. This allows the finals to be treated differently without giving the players free reign and it allows referees to call what they see without disproportionate punishments and fan backlash (at least from neutrals) hanging over their heads. For me, finals is where it’s at. 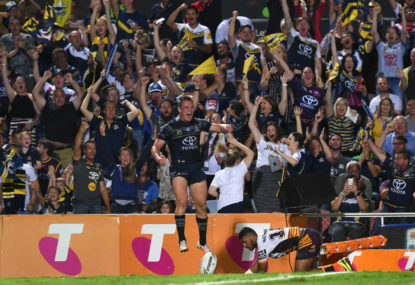 The lift in intensity, the desperation and the raising of the stakes for players and fans alike showcases everything I love about rugby league. Bring on next weekend.